Hello fellow Michigander. I too am retired but from the State of Michigan Management and Budget. Thought I would have more time to crochet but all my volunteering gets in the way. This is a great group. Glad you are here. Love the tote and especially the little lighted ghost. Beautiful Octobery colors. 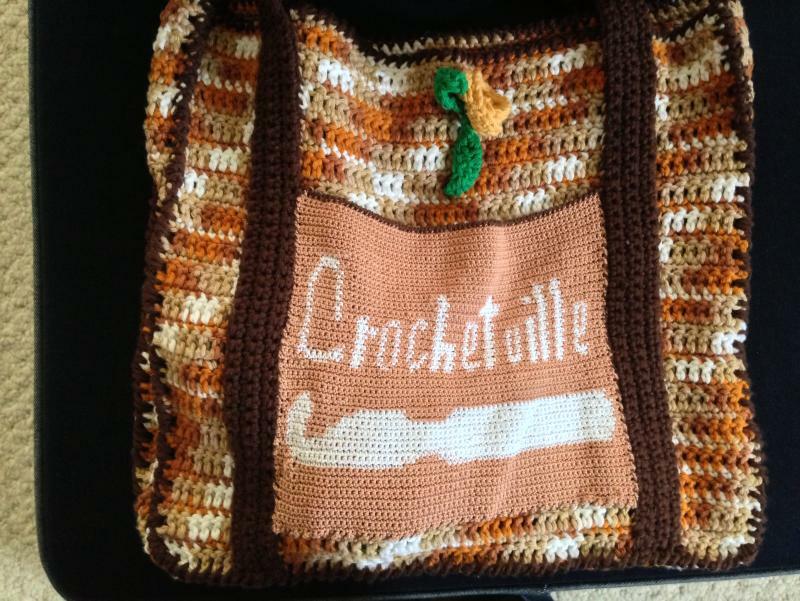 Congratulations to the newest "bag lady" My bag is still full of projects and I still treasure it every day. Just looked at my tag line and realized that I received my bag in 2011. Holy Cats! I did not think it was that long ago. Redrosedz (Sharon) I should have looked at that thread first....I believe that this is just the greatest group of people and probably all will want this to go to Terri/LadySorce if anyone wins. Therefore, I will just contact Terri/LadySorce and send the package to her. Thanks to this group for being here. Very pretty and very January feeling. I have been interested in making a polish doll for a long time. I'll be looking forward to seeing what you make. Happy early birthday to you and Tampa Guy. Later today....... OMG!....I was looking at some old patterns that I have and see that I asked you about the Polish Doll clothes you made from the International dolls book. Gotta keep better track of my patterns. .....I have a small pile of different sizes (3, 10 and 20) thread for crochet. Not a tread crocheter so let me know if you are interested and I will toss the names in a box and pick the winner on Wednesday. I'll contact the winner for where to send it . ​See Below for my decision. I am sitting here enjoying my Christmas tree and watching Christmas movies and just wanted to wish everyone a wonderful happy Christmas Eve and Merry Christmas!